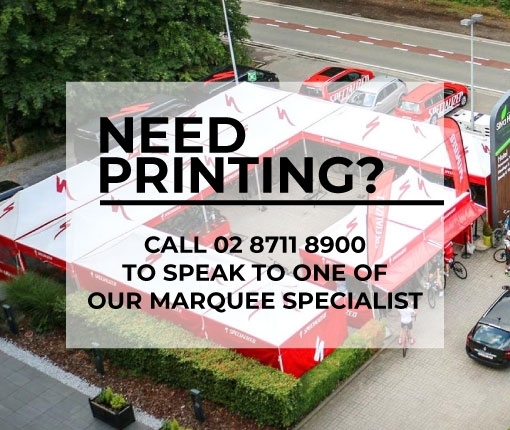 Do you need some advice about the best type of Popup Marquee or Gazebo for your job? Do you want to have your popup gazebo printed with your logo? Are you wanting to know where your item is? Are you just having a bad day and want to tell someone about it. Whatever it is, we're here to take your call. Alternatively, send us an email here or use the Contact Form Below and we'll be back to you before the shadows grow long. Showroom: We have Popup Marquees are on display at our warehouse showroom. Customers are welcome to visit during normal business hours to inspect products. If you are wanting to see a specific item, we recommend you contact us before visiting to ensure we have it available. Not usually no. If you need someone to be there on the weekend you'll need to give us a call and schedule an appointment. I need some advice on how to set-up my new pop-up marquee shade. Who should I contact? Just give us a call on 02 87118990 and we'll do our best to answer your questions. We have made some helpful videos also which will give you some helpful hints on how to get the most from your new marquee. Anywhere you see a Popup Marquee with the QuickTop Logo in the corner you'll know you're looking at an origional QuickTop. If you get a chance, have a chat to the owner and ask them how their marquee has performed and we're confident they'll give you a good report. We have a showroom at Ingleburn in SW Sydney and we have one of each of our popup marquees on display. You’re welcome to visit us during normal business hours to give each of the marquees a ‘test drive’. Still Got Questions - No problem. Just call on on 02 87118990, email us or just drop in. How do I know which is the best popup Marquee for me? Probably the quickest way is to go onto any product page and look at the Comparison Chart which starts about halfway down the page. This chart compares each of our popup marquees by size, strength and other important features. Here you should be easily able to determine which marquee best suits your needs. If you are shopping by price just click on the Popup Marquee Tab at the top of the page and then go to the top right-hand section of the page and use the slider to set a price range or simply enter the highest price you want to pay and only those popup marquees will be shown. Still confused, then just give us a call on 02 87118990 and we’ll gladly assist you with your inquiry. What do I do if my marquee breaks? Don’t Panic. All our pop up marquees have warranties on so if it breaks within the warranty period we can quickly send you a replacement part. Don’t forget that we offer a lifetime replacement warranty on the connection joints of our QuickTop A-Line Gazebos so if a joint breaks we’ll just send you a new one. Do you have engineering certification for your Popup Marquees? We sure do. Every Popup Marquee we sell has been independently certified by an engineer. When you purchase your marquee we send you a copy of the complete engineering certification for that tent so you can use it safely in different conditions. You can also see a summary of each engineering report by clicking on the link on each product page under the Engineer Certified Logo. Still Got Questions - No problem. Just call, email or drop in.